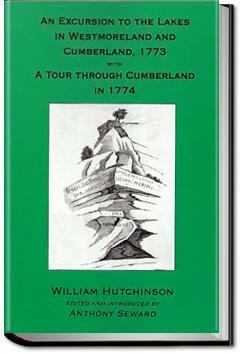 In the summer of 1773, lawyer and antiquarian William Hutchinson set out from his home in County Durham on a tour of the English Lake District. Accompanied by his brother, George Allan, he travelled by horseback from Bowes to Penrith and Keswick, down through Grasmere and Ambleside to Kendal, and back via Kirkby Stephen to County Durham. When he returned home he wrote what may be the first guidebook to the Lakes. Written in a pre-Romantic era when English writers were just beginning to discover the delights of the scenic view, Hutchinson's account vividly describes a district that would soon be the haunt of literary giants such as Wordsworth, Southey, Matthew Arnold and Harriett Martineau.